First Baptist Church will host its Annual Fall Revival on Sunday through Wednesday, October 23-26, 2016. A fellowship meal will be served each night. Each day features a wonderful message from a guest evangelist as detailed below. 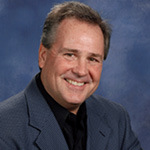 Rick Stone will serve as the Worship Leader for all services. Childcare is available for all services. Phil Waldrep is a Southern Baptist preacher, evangelist, and author based in Decatur, Alabama. He is the former pastor of Decatur's Central Baptist Church and founder of Phil Waldrep Ministries, an evangelical non-profit organization. Phil focuses his God-given talents and resources into teaching senior adults, youth, men, women, and pastors. He has published two outstanding family-oriented books, "Parenting Prodigals," "Reaching Your Prodigal: What Did I Do Wrong" What Do I Do Now?" and "The Grandparent Factor." As a speaker, he has assisted more than 1000 churches in evangelism and discipleship. A graduate of the University of Alabama, Phil married his wife Debbie in 1984. They have two daughters and make their home in Decatur, Alabama. 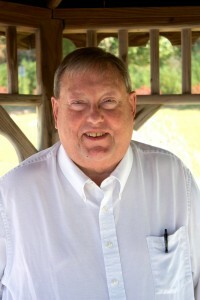 Dr. Kevin Hamm has been the Senior Pastor of Gardendale First Baptist Church in Gardendale, Alabama, since April 2006. He previously served nine years as the Senior Pastor of Valley View Church in Louisville, Kentucky, which grew dramatically under his leadership. Kevin has the unique ability to hold an audience's attention by communicating God's Word with tremendous clarity and enthusiastic passion. His preaching schedule includes Evangelism Conferences in Oklahoma, Georgia, Alabama, Kentucky, Arkansas, Tennessee, Florida and Mississippi. Pastor Kevin has served on the Executive Committee of the Southern Baptist Convention and as President of the Alabama Baptist Pastor's Conference. His articles have been published in Growing Churches, Leadership and Leader Life. He has his B.A. from Western Kentucky University, M. Div. from Mid-America Theological Seminary and Doctor of Ministry degree from Southern Baptist Theological Seminary. He married his wife, Kim, in 1987 and they have three daughters: Lindsey, Lauren and Kayla. Dr. Mike Shaw is the retired pastor of First Baptist Church of Pelham, Alabama. He first preached there as a "trial run" on April 1, 1979. After 35 years of his leadership and care, the church is housed in a beautiful building on Hwy. 31 and regularly draws between 800 and 1000 worshipers every Sunday. He retired in 2013. Before serving at Pelham, Shaw was the pastor of Carollton Avenue Baptist Church in New Orleans. Over the years, he has served as the president of the Alabama Baptist State Convention and on the board of directors for The Alabama Baptist publication. Dr. Shaw has served as a mentor at Beeson Divinity School and on the Board of Ministerial Mentors for Samford University. He is serving on the Board of Regents at the University of Mobile and on the Board of Trustees at the New Orleans Baptist Theological Seminary. Dr. Shaw was recognized as an Outstanding Alumnus by the by the same seminary, and Samford University recognized him as an Outstanding Baptist Minister of the Year. He received the Troy Morrison Leadership Award from the Alabama Baptist State Convention and he is a member of the R. G. Lee Society of Fellows at Union University in Jackson, Tennessee. Dr. Shaw and his wife Mary are still members at FBC Pelham and live there. Dr. Michael Lewis is the Senior Pastor of Roswell Street Baptist Chuirch in Marietta, Georgia. After graduating from Richmond Hill High School in Georgia, he attended Columbia International University and entered his first pastorate at the age of 21. Dr. Lewis graduated with a master's of divinity degree in 1996 from Southeastern Baptist Theological Seminary. In May 2005, he received an honorary Doctor of Divinity degree from Liberty University. He has served as pastor churches in South Carolina, Georgia, Texas, and Florida. Dr. Lewis met his wife Liliana while in college and they have three daughters. Rick Stone is the Worship & Music Pastor at Whitesburg Baptist Church in Huntsville. He received his master's degree in Biblical Education at the Southwestern Baptist Theological Seminary in 1983 and his bachelor's degree in Music and Ministry at Samford University in 1977. Rick and his wife, Rosemary, have three grown children and several grandchildren.